2. From the Task menu, select Rename. 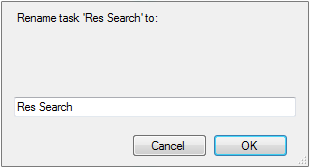 The Rename Task dialog box appears. 3. Type a new name in the text box. 4. Click OK. This creates a copy of the task with the new name.